“Slaton holds a hidden charm, and I’m thrilled to be a part of this venture,” said Kelly. 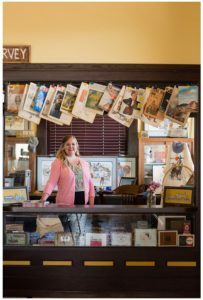 “There is so much talent and history – music, art, antiques – in our little town, and we look forward to encompassing all of it on a larger and more visible scale,” she said. She added that everyone, near and far, should experience a night in the B&B, and that the event center is the perfect place for receptions, anniversaries, and many other occasions. The Harvey House board has high hopes for the future. From Bingo nights, to planning weekend dinners, Murder Mysteries, holiday parties, collaborations with local and Lubbock high school culinary programs, team retreats, Boy Scout camps, and movie nights, brainstorming is underway and possibilities are endless. Chad Wilson, president of the Harvey House board, looks forward to working with Kelly, and to holding regular office hours. “We as a board feel that Jessica is a perfect fit for both the Harvey House and its guests. We are anxious to put her experience and passion to work, and for our guests and patrons to meet her,” said Wilson. New hours took effect mid-June, and the Harvey House is now open for tours and visits from 10 a.m. to 2 p.m. weekdays, and after hours and on weekends by appointment. The office will be closed July 12 – 26, but the Bed & Breakfast is open for reservations and the office will reopen for daily tours on July 27. The staff and board look forward to putting the event center to use more often, and to hosting many future visitors in the beautifully renovated Bed and Breakfast. Fundraisers will also be key in keeping the non-profit historical marker in welcoming and working order. 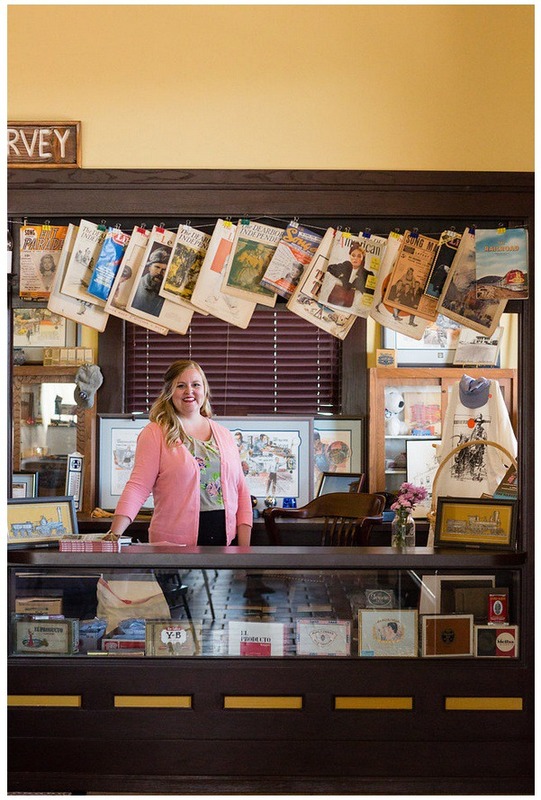 “It’s fascinating,” said Kelly, “to have this little piece of history right here in West Texas. Harvey Houses were the first fast food and first chain restaurant and hotel, and the Harvey Girls really helped civilize the Wild West. We are incredibly blessed to have a Harvey House, renovated and in operation, within arm’s reach. “Everyone in and around Slaton must take a tour. And if they’d like to make a donation while they’re here, well, we wouldn’t turn it down!” laughed Kelly. For more information or to book a room or tour, visit SlatonHarveyHouse.com, email SlatonHarveyHouse@gmail.com, or call 806-828-5900.